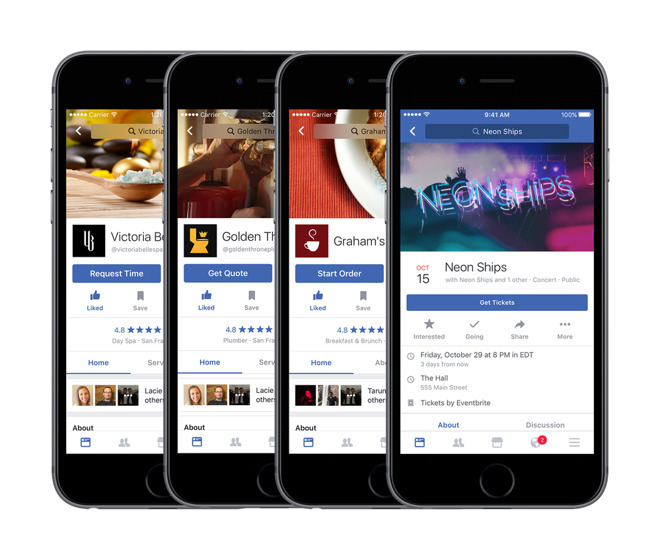 Facebook on Wednesday ushered in a series of changes to its main iOS app, with a focus on getting people to use it to interact with local businesses. From some business pages, people can now order food or tickets, book an appointment, or even get a service quote, Facebook said. For restaurant orders, Facebook is partnering with Slice and Delivery.com —movie and event tickets are being processed via Fandango, Eventbrite, or Ticketmaster. 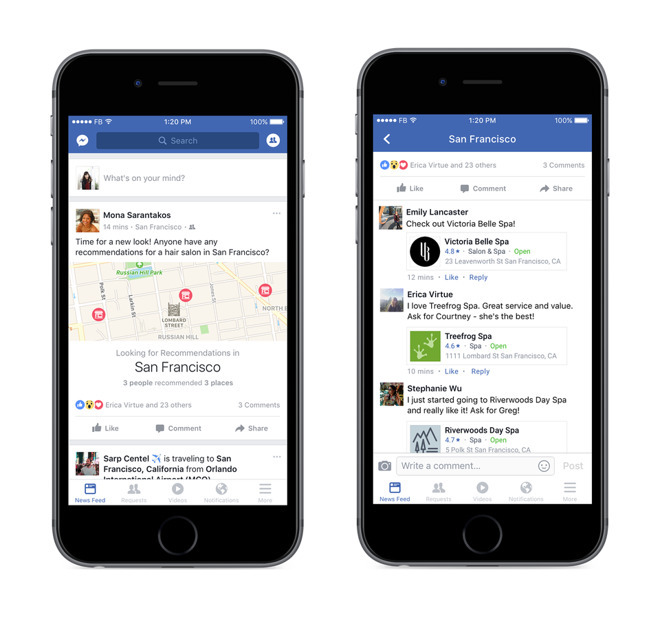 The social network is also bringing its Recommendations system from the Web to mobile. The app will auto-detect when a post is calling for local suggestions, and offer to turn the system on, automatically building a list from friends' posts, along with a map. 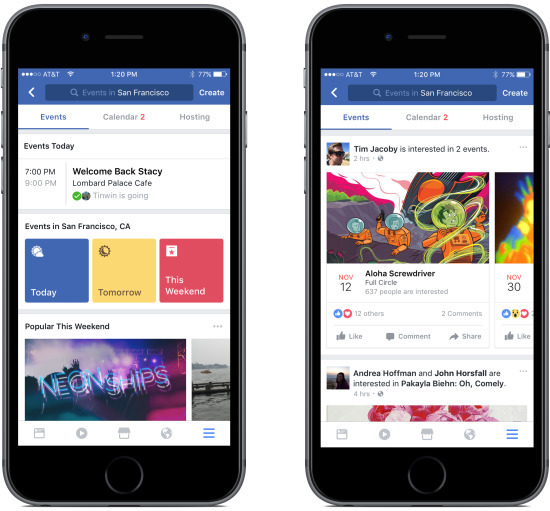 Lastly Facebook is revamping the look of the Events tab, which is used to get activity ideas and check up on hosts and friends. All of the new changes are initially rolling out in the U.S., starting today. The exception is the updated Events tab, which will only arrive in the U.S. "in the coming weeks." Facebook didn't offer any details on international rollouts.